We are a British Non-Profit organisation working for the conservation and welfare of the Asian elephant. 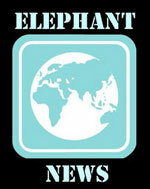 Our site is full of elephant facts, information and pictures. You will also find information about the problems elephants face and details of EleAid activities. The Asian elephant is officially classified as highly endangered. There are as few as 50,000 remaining and both wild and domesticated elephants face grave threats to their existence. Unless we take urgent action now these wonderful animals will disappear forever. We have been on hiatus for a while, but we are back and we have some great ideas for some interesting projects to start over the coming months. Watch this space for ways you can get involved and help us help the incredible Asian elephant! © 2019 EleAid. All Rights Reserved.